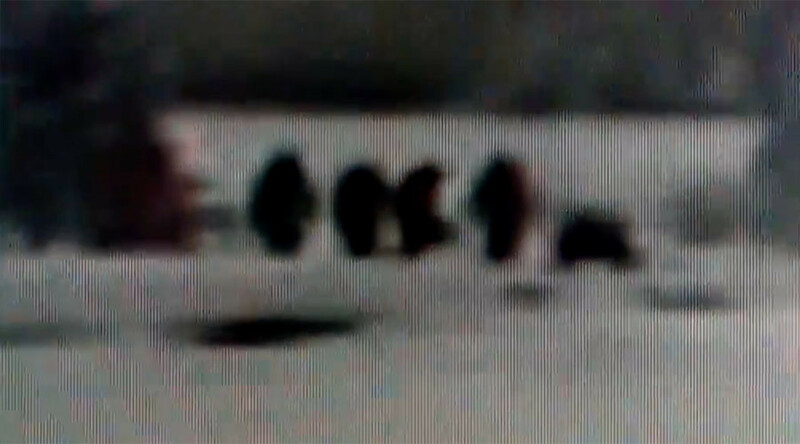 A so-called “bigfoot family” has been caught on camera walking around Yellowstone National Park in Wyoming. The footage, which was filmed on Christmas Day, is a cellphone recording of a live camera feed near the Old Faithful geyser at the famous park, resulting in some very pixelated footage. Although the video begins with two of the mysterious figures sitting down, they’re then joined by four others. “My biggest fear is that because of the poor quality nobody will watch it or think it could be important,” YouTuber Bahinko wrote in the video’s description. There have been numerous alleged sightings of bigfoot in various locations around the world, although primarily in the US. Described as hairy and ape-like in stature, proponents of their existence claim they walk upright like humans and usually measure anywhere between six and 10ft tall. The apparent sighting was filmed near to the scene of a similar recording from December 2014, which bigfoot enthusiasts claimed showed a sasquatch close to a herd of buffalo at the park.